Excellent Tapas, Aperitifs, Pizzas and much more for Takeaway in Playa Blanca. 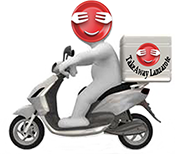 ***Food & Drinks(24h) Delivery Service - TakeawayLanzarote Group | Canarias | Las Palmas. 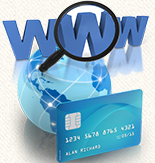 ***Free Delivery for orders over 50€ (Tax and Delivery Excluded). Takeaway Lanzarote - Restaurants Playa Blanca English Breakfast >> pork sausage, bacon, beans, egg, toast and chips. Takeaway Lanzarote - Restaurants Playa Blanca Broken Eggs with chorizo and chips. Takeaway Lanzarote - Restaurants Playa Blanca Scrambled Eggs and Toast. Takeaway Lanzarote - Restaurants Playa Blanca Omlette and Chips (ham or mushrooms). Takeaway Lanzarote - Restaurants Playa Blanca Soup of the Day. Takeaway Lanzarote - Restaurants Playa Blanca Mixed Salad with Tuna. Takeaway Lanzarote - Restaurants Playa Blanca Tropical Salad.